Here it is only 10 days (or less) until Christmas. All the shopping, decorating and wrapping, that will only takes 1 day to undue, will be done. If your like me and enjoy the entire season it seems so much more worth it. I love the lights, the music, the whole month of festivities. Enough about me lets get this giveaway going. Welcome to the A Beary Merry Holiday Hop. 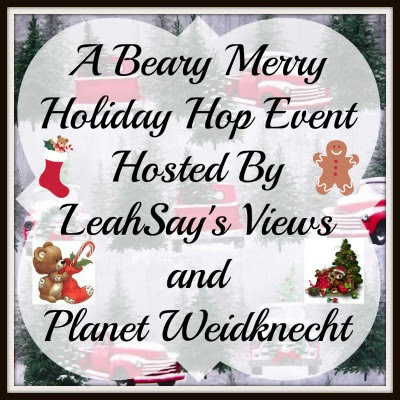 Our awesome hosts are LeahSay's Views and Planet Weidknecht . There is no limit to the number of prizes you can win, after entering this giveaway just hop on to the next giveaways where you will find gifts and gift cards. We will be having more giveaways throughout the month so please stop by often and check our Giveaways Page . Learning Resources is sponsoring this giveaway by giving one lucky winner a Code & Go Robotic Mouse Activity Set rv $59.99, awesome! You can read the review HERE . What a great toy and something my kids would have a great time with. 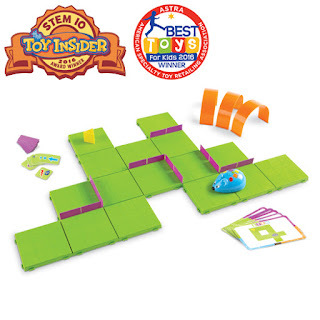 i love any lower grade level STEM toys. i think its important to realize that young minds can grasp this! I would love to win this for both myself and my nephew. I'm actually in taking college right now in software development and computer programming, so I'm interested to see how this toy introduces those concepts. My nephew is really interested in this kind of stuff too, so I would love to get him started early and maybe he would be pretty advanced by the time he's my age! I like that the kids have to build it before they can play with it. Also, there are a multitude of mazes, so they can change it up. And I want to win this for my kids! I like that this is educational and encourages interests in STEM. I know my nephews would enjoy this. I like That it teaches technology but in a fun way! I like that it encourages science and technology. I would give this to my son. I love that this will work my daughters brain without her thinking its too tough. I love this for my little cousins. I would like this for my whole family, we would play it together. I always knew someday someone would build a better mouse. 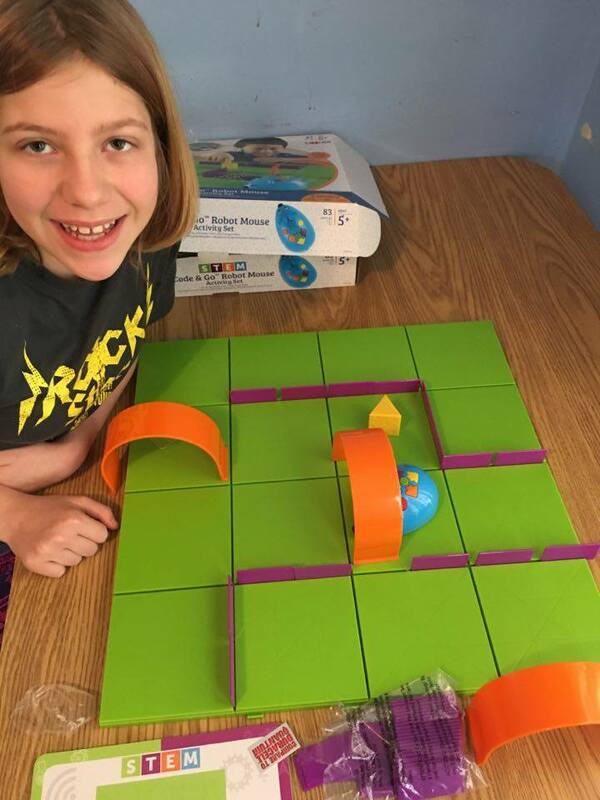 I like that this teaches programming to kids; I'd like to get one for my niece. This would be good for my grandson to help him leaning programming. If I win this I would give it to my granddaughter. She would love it. i like that it has built-in activities to do to get started. i want to win this for my oldest daughter. My son has autism and I think he would do really well with this coding. I would love this to try for him. I am trying to win this for my son. I like that it is a game but also educational. I would play this fun sounding game with our grandson, he loves playing different games. The other link up above is not working. I want this for my oldest son. I love things that make him think. It looks like a lot of fun. I'd love it for all my kids.